The World Travel & Tourism Council (WTTC) estimated that worldwide spending for personal travel was $2.8 trillion in 2005, a figure that increasing annually. The travel industry, housing the Travel suppliers - such as airlines, car rental agencies, and hotels, online and offline travel agencies - the Global distribution systems (GDSs), and other companies that fulfill interrelated customer needs or large enterprises, is witnessing phenomenal growth. Travel companies are under severe pressure to find pioneering ways to both maximize revenue and reduce costs. Margins are razor thin, the pool of high value customers continues to shrink, competition is fierce and there is no integrated view of the business. The revolutionary medium of the Internet has changed the way travel is purchased. The Internet has opened access to vast amounts of information for research purposes and also the ability to by-pass a travel agent and book directly online, taking advantage of many cost benefits. The convenience, speed and access to ‘comparison pricing’ the Internet affords have won over business and leisure travelers, forcing travel-related businesses to serve their customers online or go under. Price competition is cutthroat, and many travel companies cannot - or will not - invest in technology that requires more than a few months to deliver a return on investment. The most of the online travel shoppers begin travel research with an online travel agency. The worldwide study of hospitality executives have viewed that 68% of hoteliers plan to shift their budgets from offline to online marketing in 2007. Online travelers feel the best travel Web sites they provide the facility to compare prices, give chances to save money, offer the recent information, and present a wide range of travel options. As per evaluation with other travel Web sites, company Web sites, destination Web sites, and online agencies are used most often among online travel planners. Nowadays, what is different is the pace of change in the present market, which fastens the need to move rapid with using technologies that enable these issues to be quickly addressed. Additionally, customers have become a positive force in today's economy and are influencing the nature of competition as they voice their expectations and select the manufacturers that can best respond to their needs. Now it is very important to find out what customers want, how they want to receive it, what they want to pay for it, and when they want to get it. This new move towards facing manufacturers to fulfill customer’s high expectations of more control, superior information, and versatile communications capabilities. Changing business demands are forcing travel companies to become accustomed and develop faster than ever. The travel industry has seen fundamental changes in current years, with strange growth but deep and impulsive shifts in demography and consumer expectations. The consumer base has become too far spread; and the need of the time is to initiate scalability, reduce operation costs, and create new techniques to bridge the spread. It would be a key planned priority among travel companies. Airlines rank distribution costs as their third largest expense after fuel and payroll but also deem distribution costs to be the most controllable of the three. The Internet gives travel marketers the skill to reduce distribution costs from as much as $30 per room to less than $1. It is next major confront together with turning them into dependable. Travel companies need to establish a continuing dialogue with customers - prior the purchase, during the stay and after they return home. The flourishing marketers will apply several methods for customer contact, again using the chances afforded by online marketing and not continuing to rely on such traditional process as comment cards and offline surveys. It is mainly to make Internet and e-Commerce work for the benefit of business and customer alike - don't throw big money at the Internet devoid of understanding the workings. Recognize how to expand an online presence without alienating present channels of distribution, and how to prevent transaction costs from going up when customers use the internet to look but might still sometimes book through traditional channels. It is evidently to describe information requirements and transform customer data into knowledge. The travel companies need to work with the technical teams to build systems based on what needs to come out rather that what is going in. They must invest in campaign management solutions that will facilitate them to quickly design and carry out more effectual campaigns with improved customer aptitude, multi-channel integration and reliable and steady customer communication. Travel Portal is a one end place for travel supplier and customers. The travel portal is the best destination for people who are in search of the best deals accessible in the travel industry for hotels, tours, bed & breakfast, alternative hotels, farms, shopping, villa booking and special offers in each of this. 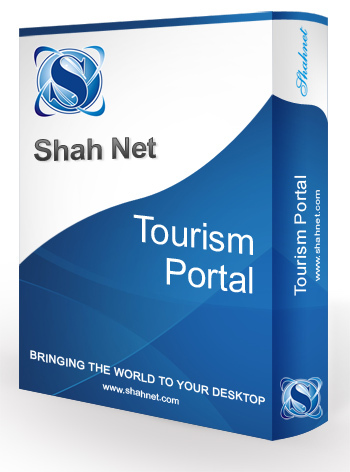 The Travel portal mainly facilitates the suppliers to advertise their product in their own way. It is a sole destination for supplier looking for marketing their travel schemes. The customers can select different membership and can take all the advantages associated with that membership. In the same way, the supplier can also avail. The customers can fill in the reservation forms and book the deals directly online. 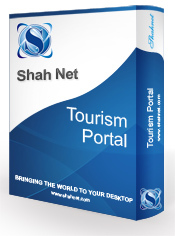 The lists of all the features present in the Travel Portal are as under. Quick links to well accepted 5 destinations at random. Record of recent packages in hotel, villa, tour, bed & breakfast, shopping, compare and evaluate your deals. Features related to Content Management for changing pages and menus. Video box displaying the modern travel video’s from youtube.com. Different login area for supplier & member. Records of all travel destinations on the portal categorized in regions – country. List of the recent three alternative in each field of travel on selection of a destination. Facility to show star rating for all types of packages available. Hotel list with paging displaying hotels by region and country wise. Tour package list with paging displaying tour package by region and country wise. Villa list with paging displaying villa by region and country wise. Bed & Breakfast list with paging displaying packages by region and country wise. List of all the shopping or special offers listed by all the suppliers. Facility to search by category – subcategory – region – country for shopping / special offers. List of Alternative hotels with paging displaying alternative hotel package by region and country wise. List of Fams with paging displaying Fams package by region and country wise. Yearly Renewal facility for all members / supplier. FAQ that helps to solve the basic queries of the customers. Detail View showing the total details of a particular travel package along with a picture gallery. Separate package rates for elite members and free members. Facility of Reservation for booking packages as per prerequisite. Manage profile of supplier. Manage travel schemes listing. Deal with the special offers listing. Renew their accounts. Manage Basic portal settings. Manage Hotels listing. Manage Tour Package listing. Manage Bed & Break Fast listing. Manage Shopping / Special offers listing. Manage Alternative Hotels listing. Manage Transactions of member / supplier Managing all the users in the portal – staff, member & supplier. Manage Advertisements listed on portal. Manage all the videos displayed. Manage the comparing of our deal module. The Complete System is XSS and SQL Injection proof.